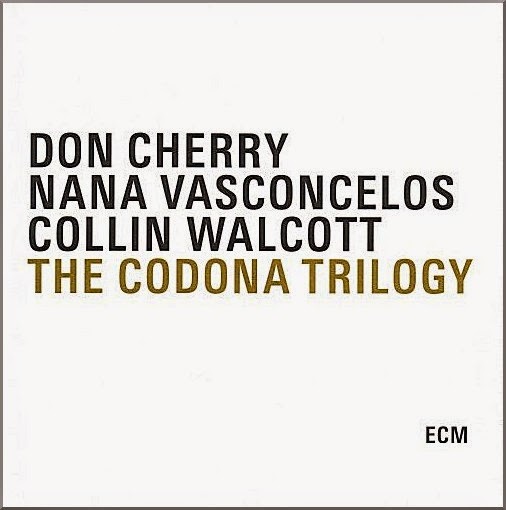 Weaving together melodies and rhythms from everywhere - North and South America, Africa, Asia, Europe - Codona presaged the surging advent of a pan-cultural 'world music': Collin Walcott could see the wave building and worried about it. Recognizing the difference between borrowing and plunder, as well as the dangers of bland homogeneity, the Codona musicians waved banners for the sources they loved and respected. The goal: "To be open and incorporate all we know, without turning the whole world into milk toast - still encouraging the survival of the tradition." Apart from showing a few of my sitar recitals, the film Raga featured some incidental music by me. There is also a rapid visual collage sequence which reflects all the distortions in that period - Indian music mixed up with rock, hippies and drugs. The music for that section was put together in a modern style with a profusion of electronic sounds by an American disciple of mine called Collin Walcott. 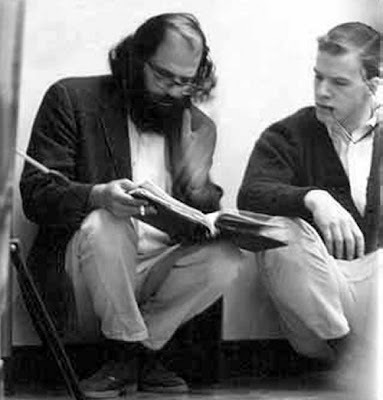 Walcott was a member of the influential Paul Winter Consort, and in 1971 formed Oregon with Ralph Towner, Paul McCandless and Glen Moore. Walcott's brilliant career was tragically cut short when he was killed in a car crash while touring with Oregon in East Germany in 1984. Today Collin Walcott is remembered mainly for the recordings he made with Oregon. But, while these also are essential listening, they do show the early symptoms of the 'milk toasting' that became more evident in the group's work after Walcott's untimely death. (The medium-toasted post-Walcott Oregon in Moscow recorded with the 'Tchikovsky Symphony Orchestra' conducted by Russian jazz oligarch George Garanian deserves an article to itself). If Collin Walcott's work with Oregon was great, the recordings he made with Codona are the real thing. The Cordona Trilogy lets the listener sit in on sessions that changed the direction of music. That is definitely something not to be missed. I paid £16.98 with free shipping by pre-ordering The Codona Trilogy from amazon.co.uk before its 19 Jan 2009 release date. It is now priced at £19.98. The packaging is all paper and mimics Brilliant Classic's low-cost presentation. For this release ECM have, thankfully, pensioned off their camera with the dodgy lens. Instead, the box uses simple and effective typography which owes more than a little to the Swiss label Hat Hut. A sticker on the packaging says the following - 'Music without borders. Limited edition specially-priced 3-CD set. 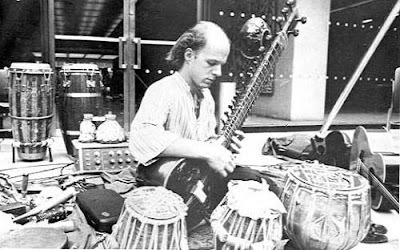 Legendary recordings of the transcultural process.' But I can find no mention of a 'Music without borders' series on the ECM website. If this really is a limited edition re-issue snap it up pronto. Another new ECM series does feature on their website. Touchstones feature re-issues of 40 classic recordings which offer 'great music and full-dimensional sound at download price, in cardboard covers with original artwork'. The riches are too numerous to describe here, but they do include several Oregon and Ralph Towner albums. 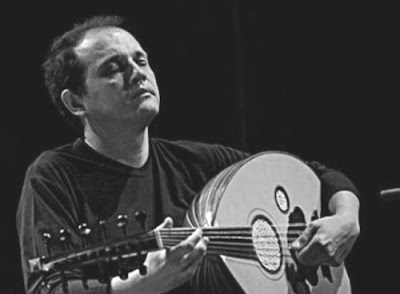 Also highly recommended is the 1992 Conte de l'incroyable amour from Tunisian oud virtuoso Anouar Brahem (photo below). The Touchstones series uses cardboard sleeves and the original artwork. Which is a mixed blessing as my sleeve scan below shows. Wouldn't typography in the style of The Cordona Trilogy have worked better? But don't let ECM's signature vague visuals put you off. I paid just £8 including shipping for Conte de l'incroyable amour from hmv.co.uk. 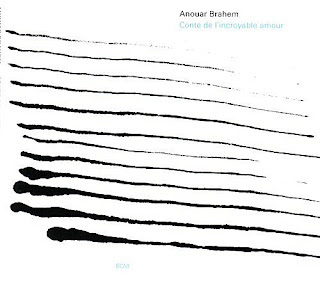 A groundswell of renewed interest in the analog medium has made it possible to issue selected ECM titles on vinyl once more, and the Rava and Jarrett albums mark a new beginning. They are issued as audiophile-quality 180-gram double-albums, with radiant and warm sound transferred from original masters. Throughout the year we plan to add more LPs – both new titles and older albums newly pressed in audiophile editions. The first of the latter is already available – “1961” by the Jimmy Giuffre 3, with Paul Bley and Steve Swallow. To recap, there are now three double albums in ECM audiophile 180-gram vinyl editions. You read it first On An Overgrown Path. Did you know Don Cherry is the father of Neneh Cherry? I saw Walcott and Oregon record an album, or part of one in either 1974 or 1975 in NYC.it was precisely one hour long[I think I was disappointed,thinking it would be a concert,having been spoiled by Dead concerts that lasted 5 and six hours}I remember the audience was hushed as if at church.Thanks for the head's up on this one. Methinks my bride may get this for me as a Valentines day gift. The picture of Walcott shows him outside Indiana University's Musical Arts Center, a 1,460-seat concert hall that houses all the orchestra concerts and opera performances. Interesting how world music has gone "inside" the concert hall since that picture was taken. Is it even legal to listen to new "audiophile-quality 180-gram double-albums, with radiant and warm sound transferred from original masters" through anything other thaa a tube-based amp (with a separate pre-amp, of course)? You may not be able to find MP3 files on the ECM site, but for the paltry sum of 20p per track a large selection are now available on eMusic. The Codona Trilogy is available to download as the original 3 albums which at 18 tracks in total would set you back all of £3.60. Things get worse though. Keith Jarrett's 'Sun Bear Concerts' box set is currently selling on Amazon.co.uk for £76. On eMusic, the 13 downloads equate to £2.60. For that price, I can live without the CD box and booklet and let the music speak for itself. If I really like it, I can always buy the 'physical' copy later. They also have the Naxos catalogue among others. Where would my collection be without eMusic and Brilliant Classics?